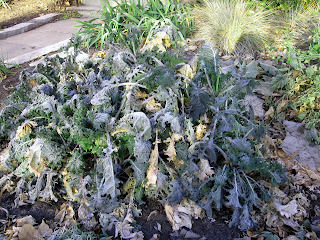 Last night the temperature went down to minus 8 degrees (Celsius) and we had a deadly frost. 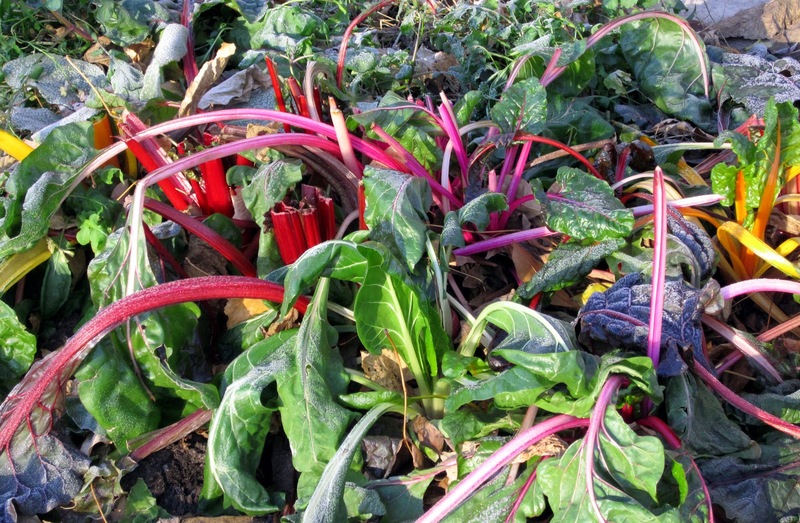 This morning, as I was walking to work, I saw some plants in a vegetable garden that had been killed by the frost. 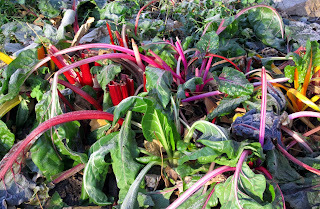 Even though the leaves were limp and bowed down in death, they were very beautiful in the morning sunlight. I believe these were lettuce leaves. 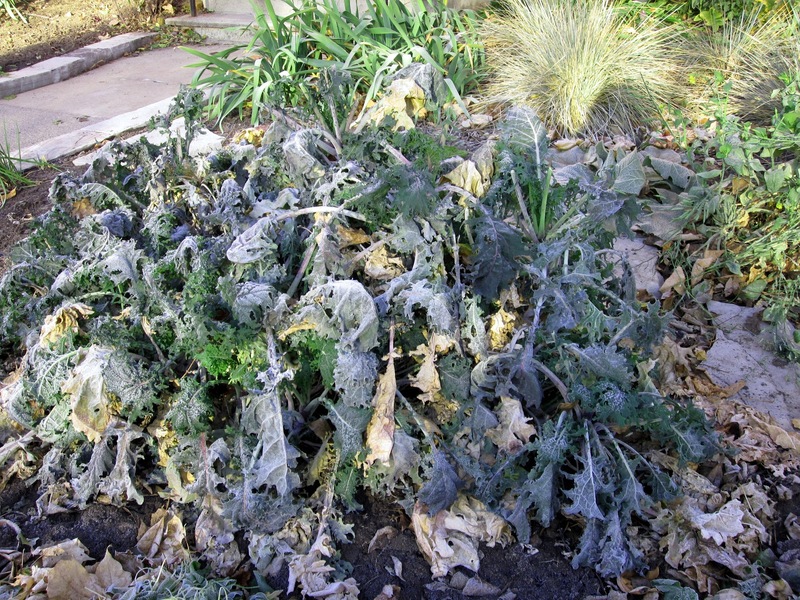 They had been lush and healthy the day before, but now they were covered with a white rime and shrivelled with cold. This is a harbinger of things to come, when everything will be shrouded in a deadly white blanket of snow. Brrrr! I saw the gardeners on Bloor Street in Toronto planting bulbs this morning. Nature is getting ready for the big sleep!